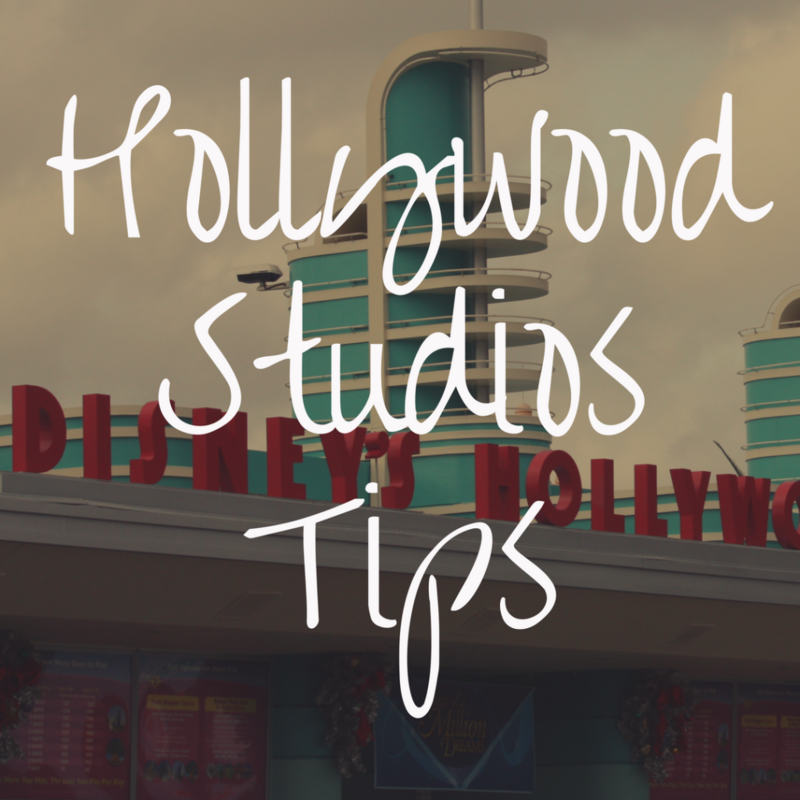 In this article, I’m going to share with you some awesome tips and tricks when it comes to Disney’s Hollywood Studios, which should not only be informative to read, but will also help you have a better and more enriching trip to Disney World on your next visit. Featuring some of the most thrilling rides in all of Walt Disney World, and classic live shows that delight all ages, Hollywood Studios is not to be missed. But why? Well, let’s see what tricks this theme park has up its sleeve. Characterpalooza is perhaps one of the the best kept Walt Disney World secrets. Everyday, around 4:00PM-7:00PM, a random group of characters, changing daily, will come out to meet and greet with guests for about twenty minutes. This is an amazing opportunity to meet and take photos with characters impossible to meet otherwise, including Dopey, the Genie, and Brer Rabbit. Characterpalooza is not published, and cast members will not acknowledge its existence if asked. This is part of Disney’s attempt to keep this hidden treasure secret. Usually, characters will come out around the Echo Lake area or near the entrance to Tower Of Terror. Keep your eyes peeled for groups of guests looking like they are waiting around for something, this is a good sign Characterpalooza is coming soon! There are no PhotoPass photographers at this event, so make sure to have your own camera ready. Characters will sign autographs as well. Check out Kenny The Pirate’s website for more information on which characters you may be able to meet at Characterpalooza. I also highly recommend his Character Locator App which comes at a fee of $7.99/year. 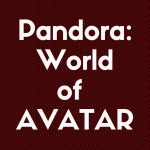 It will let users know exactly when and where Characterpalooza will take place. The Great Movie Ride is modeled after the iconic Grauman’s Chinese Theater, a Hollywood Landmark. Tourists flock to this famous theater each year to see the handprints and signatures of their favorite Hollywood Stars. Disney recreated this tradition outside of The Great Movie Ride. Alongside handprints from classic Disney characters like Mickey and Minnie are Audrey Hepburn’s actual handprints. This is the only place in the world Audrey Hepburn’s handprints can be found. She cried the day she created the handprints for the park because no one had ever asked her for her handprints before. Look out for an excavation site located outside of the Indiana Jones Epic Stunt Spectacular. There is a sign next to this site stating “Warning! Do Not Pull The Rope”. Try giving the rope a tug, the “not” is crossed out, right? You may hear something echoing up from inside the site! Hollywood Studios utilizes a tiered FastPass+ system. This means guests can select one attraction from Tier 1 and two attractions from Tier 2 in advance. As you may have guessed, many of the most popular attractions are located in Tier 1. This includes two arguably most popular attractions, Rock ‘n’ Roller Coaster and Toy Story Midway Mania. 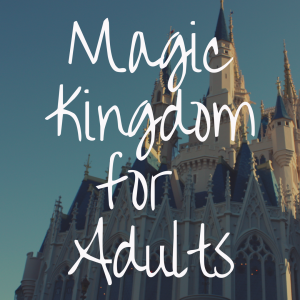 This tiered system effectively forces guests to choose between the two when making their FastPass+ reservations 30 or 60 days out from their trip. Due to smaller number of attractions and the tiered FastPass+ system, the number one rule to live by when planning an itinerary for Hollywood Studios is to reserve FastPass+ time slots early in the day. Then, the minute you scan your magicband to enter the line of your first FastPass+ attraction, check the My Disney Experience App to reserve a fourth attraction. FastPass+ reservations fill up extremely quickly in this park, this is the only way to potentially score a second Tier 1 Fastpass+ reservation, do not forget this tip! Guests looking to ride both Toy Story Midway Mania and Rock ‘n’ Roller Coaster should consider the strategies below. It is next to impossible to acquire a FastPass+ for both of these attractions in one day, and the queue for both frequently surpasses 2 hours on heavy crowd days. Reserve a late morning time slot for Rock ‘n’ Roller Coaster or Toy Story Midway Mania, around 10AM or 11AM. Arrive at Hollywood Studios around 15-20 minutes prior to park opening for rope drop, and make a beeline for whichever attraction you did not reserve as soon as the park opens. You may be able to ride more than once with a very low wait at this time! If you are not an early bird, reserve a Fastpass+ for Toy Story Midway Mania whenever you would like to ride. Ride Rock ‘n’ Roller Coaster using the Single Rider Line. The Single Rider Line always has a significantly shorter wait time than the normal queue, it is rare to wait more than 20-25 minutes. The only catch here is you will not sit with the other members of your party, but the ride is very dark anyway so the experience is not impacted much! Located around the Hollywood Boulevard area from 9:30AM-5:30PM are the Citizens Of Hollywood. These stereotypical characters based off of the Golden Age of Hollywood are a ton of fun to interact with. 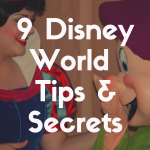 Many guests will walk right by them without even noticing! These “citizens” often have elaborate personalities, and will perform all kinds of improv shows and tricks. They often pull guests into their skits making them even more entertaining! From aspiring actors, to famed movie directors, to gossip columnists, to award winning stars, these “citizens” are fun for the whole family! Check out this directory of personalities you may encounter and keep your eyes peeled for your favorites as you walk along Hollywood Boulevard! The lines at Quick Service Restaurants, especially at Backlot Express, quickly grow in Hollywood Studios during prime meal times. To avoid waiting a half hour to order a meal, try to visit these eateries off peak times. Peak hours for lunch are 11:00AM-1:00PM. For dinner, try to avoid the 5:00PM-7:00PM rush. Utilizing this strategy will make for a much less hectic, relaxing dining experience. While waiting to enter the Muppet Vision 3D Theater, look for the sign stating the crew will be back soon, there is a key under the mat. Then find the welcome mat, try lifting it up. You will find a key hidden underneath! The plane shown in the Casablanca scene of the Great Movie Ride is a rare original Lockheed Martin Plane. It is rumored to be the actual plane used in the movie, but this has never been confirmed. What many guests do not know is that the back half of this plane can be found on the Jungle Cruise ride in Magic Kingdom—take a look when the boats pass by the plane wreck scene! Right across from the Star Wars souvenir store called Tatoonie Traders are a pair of Star Wars speeder bikes set up in front of the garden. Many guests do not realize they are welcome to sit on these bikes and take pictures on them. They make for a great souvenir! Disney Lists lists this photo op as one of the best photo spots in Hollywood Studios! Located near Echo Lake is Dinosaur Gertie’s Ice Cream of Extinction. While most guests believe Gertie is just a fun themed ice cream shop, she is actually an honor to the first animated movie ever created called Gertie The Dinosaur! As guests pass through security and enter the park, look out for the gas station to the right. Take a close look at the gas pump here, it is engraved with the opening date of Disney’s MGM Studios, the original name of the park. Didn’t score an Advanced Dining Reservation for one of the popular Table Service Restaurants in Hollywood Studios? Avoid wasting time waiting around in the standby line by visiting the lounges of these popular restaurants. A little known secret of Hollywood Studios, Tune-In Lounge at 50s Prime Time Cafe and the Hollywood Brown Derby Lounge both offer food menus. While both lounges do not feature the full menu from their larger counterparts, it is definitely possible to enjoy a delicious meal at both locations. Lounges are walk-in first come, first serve and often do not have long waits for tables. The best part of dining in these locations is your family can enjoy the immersive atmosphere of these restaurants without scrambling to secure a last minute reservation. For those planning their very first Walt Disney World vacation, Hidden Mickeys can be found everywhere in Walt Disney World. Hidden Mickeys are Mickey Shapes that can be found virtually everywhere around the parks, restaurants, attractions and resorts. Guests love searching for classic, famous Hidden Mickeys, as well as the more rare, hard to find mickeys. Check out this great website for thousands of examples. Read on to learn about some of my favorite Hidden Mickeys located in Hollywood Studios! While waiting in the queue for Star Tours, guests walk through a room depicting shadows of iconic Star Wars Characters walking by. Keep your eyes peeled for R2D2 in this room, when you spot him, take a close look at his ears for a surprise! Stop by Mama Melrose’s Italian eatery and find the statue of a Dalmatian. Look closely at the Dalmatian’s spots to find a Hidden Mickey. As you enter the Recording Studio scene before getting on Rock ‘n’ Roller Coaster, look out for the sound cables scattered on the floor to the right. They are coiled into the shape of a Mickey! As your vehicle passes through the Indiana Jones scene, look for the hieroglyphic wall to spot a Hidden Mickey. This wall features many other “hidden” characters as well, including Donald Duck and R2D2! Look closely at the swirling stars as you enter the Fifth Dimension. They will form a Mickey shape for just a second before disappearing! Towards the end of the show, Kermit will walk out from behind a fire truck. Look closely at the balloons behind him, you may notice they form a familiar shape! Take a close look at the world map found on the left wall of the waiting room for this classic Walt Disney World stage show. The countries on the map join together in a Mickey shape. Located next to Muppet Vision 3D, look down as you enter the double doors of this colorful shop selling Disney World souvenirs. There will be a yellow paint splotch on the ground in the shape of a Mickey! Looking to beat your partner on Toy Story Midway Mania? There are several “Easter Eggs” hidden throughout the attraction that if shot at will score huge numbers of points. Check out this list for some of the most popular high scoring Easter Eggs! This Signature Restaurant located in the Hollywood Boulevard section of the park is a replica of the famous Brown Derby restaurant in Hollywood, California. Take a peek at the caricatures lining the walls of the restaurant. Drawings framed with black frames are replicas of the caricatures from the original restaurant, and drawings with gold frames are original pieces from the Brown Derby in California. Tucked away behind The Great Movie Ride is One Man’s Dream. Many guests will walk right past this amazing museum without even noticing it. This attraction is an honor to Walt Disney’s life and achievements. Guests first watch a 15 minute film narrated by Julie Andrews, and then proceed into a museum featuring over 400 artifacts related to Walt Disney’s Life. Included in some of the displays are Walt Disney’s 2nd Grade Desk, the original models for the Peter Pan ride vehicles, original Mary Poppins costumes, and previously unheard audio interviews with Walt Disney himself. This inconspicuous attraction is truly a treasure that is not to be missed! Fantasmic is an iconic fireworks stage show taking place once or twice per night at Hollywood Studios depending on crowd levels. 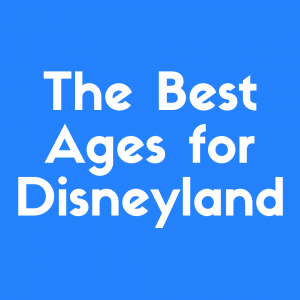 Most guests do not realize if they do not utilize Fastpass+ for the show, which I do not recommend, they will need to line up at the Ampitheatre early. Make sure to arrive at the gates about an hour before showtime to secure a great seat for the show. If there are two shows the night you are touring Hollywood Studios, the second showing is usually less crowded, guests can begin lining up about 50 minutes ahead of time instead. If your family is planning to dine at Hollywood & Vine, Mama Melrose’s, or Hollywood Brown Derby, you may want to look into the Fantasmic Dining Package. This package includes for a fixed price a meal at one of these restaurants and reserved seating for Fantasmic. 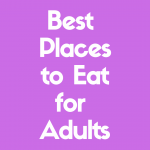 While I would not recommend going out of your way to purchase this package, if you will be dining at any of these restaurants anyway it is definitely worth checking out! While you are waiting to enter the theater, grab a snack or a refreshing beverage to pass the time. If you do not finish, guests are allowed to bring refreshments into the theater to enjoy during the show! Check out Disney Tourist Blog’s recommendation of best viewing spots to help choose your seat when the theater opens! 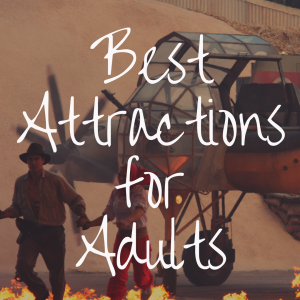 As I am sure you have learned while reading through these tips and tricks, Hollywood Studios is filled with amazing attractions, shows, and restaurants that are fun for the entire family. This park is a remarkable homage to Hollywood’s impact on the film industry, and it is truly not one to be missed!